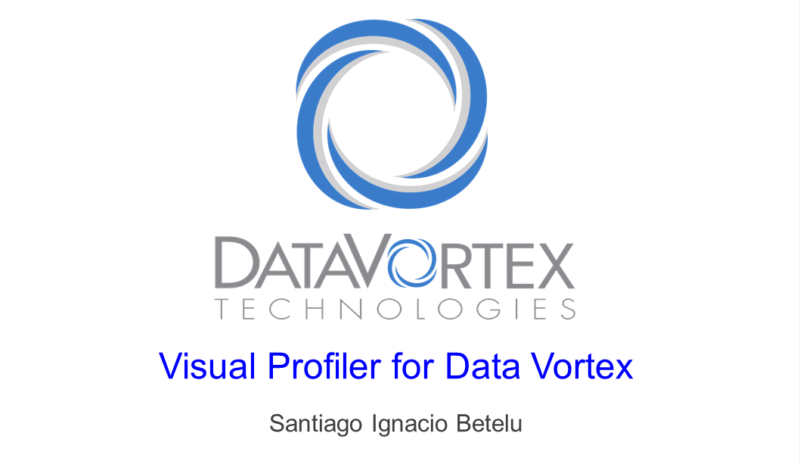 Each color represents a different Data Vortex function. 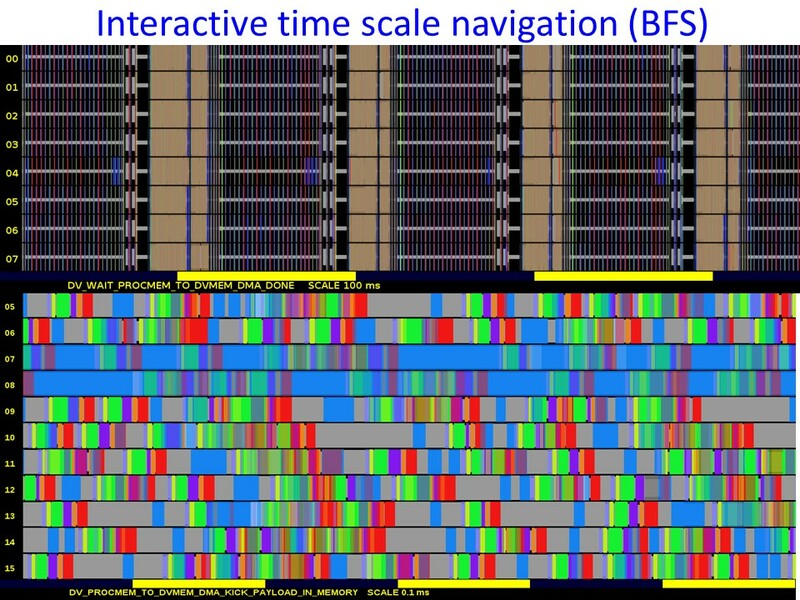 This figure shows how the time scale can be changed interactively in order to show a smaller time interval. The user does not need to modify the code to run a profile. 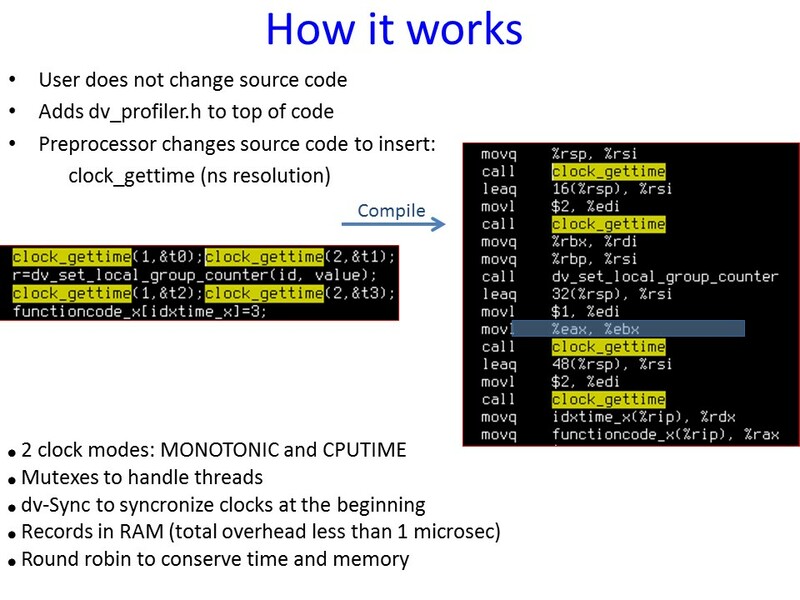 The C preprocessor automatically inserts timing calls into the code and generates the graph with a small time penalty of the order of 10%. 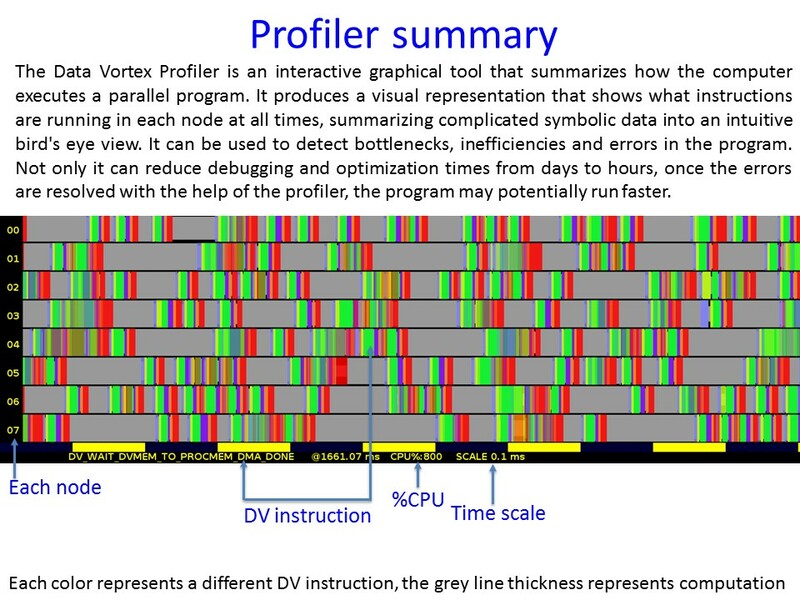 With the help of the profiler, the user can dramatically accelerate the code. 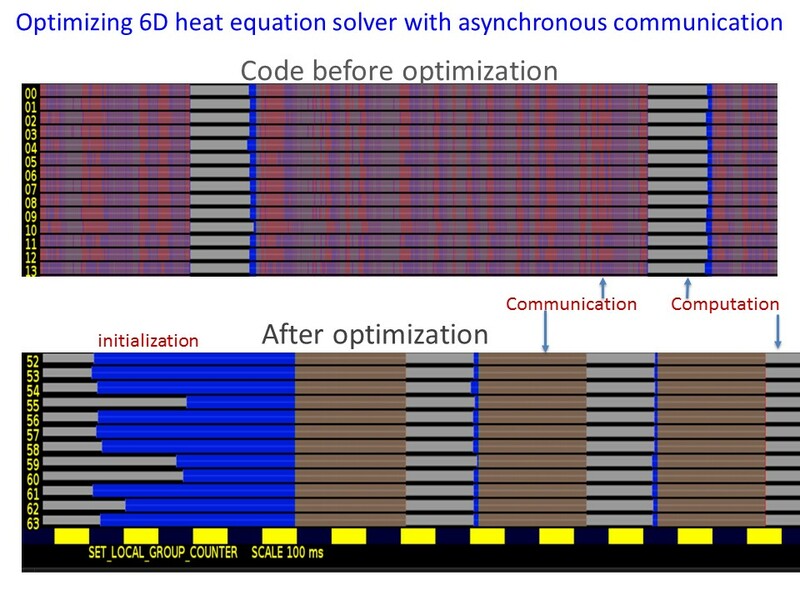 Here the profiler was used to improve a finite differences heat equation solver in six dimensions. 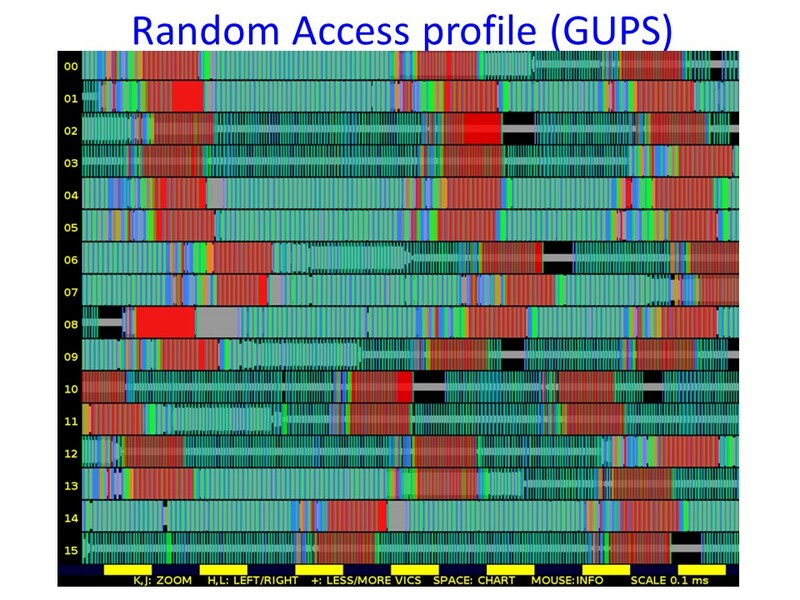 This is the chaotic profile of the “random access” Data Vortex code.